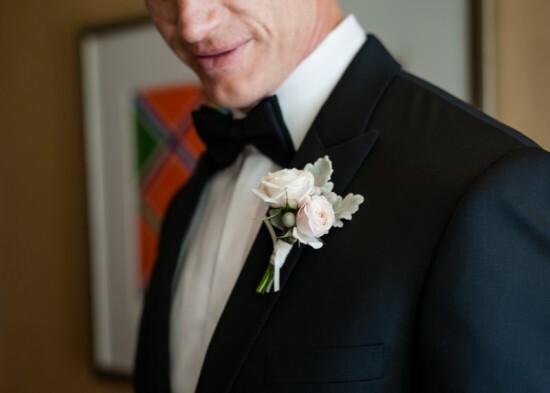 We saw beautiful florals in all shapes and sizes in 2015, with the boutonniÃ¨re being no exception. 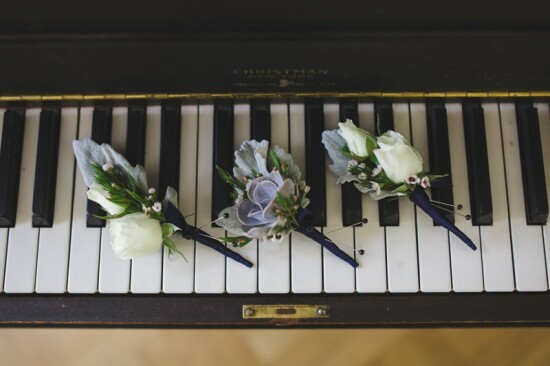 Gone are the days of plain white roses, and instead couples embracing color, unique materials, and seasons to outfit the suited companions in the wedding party. 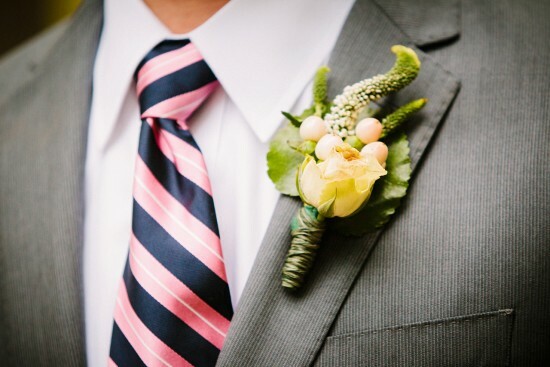 Here is a roundup of our favorite boutonnieres for this past year. 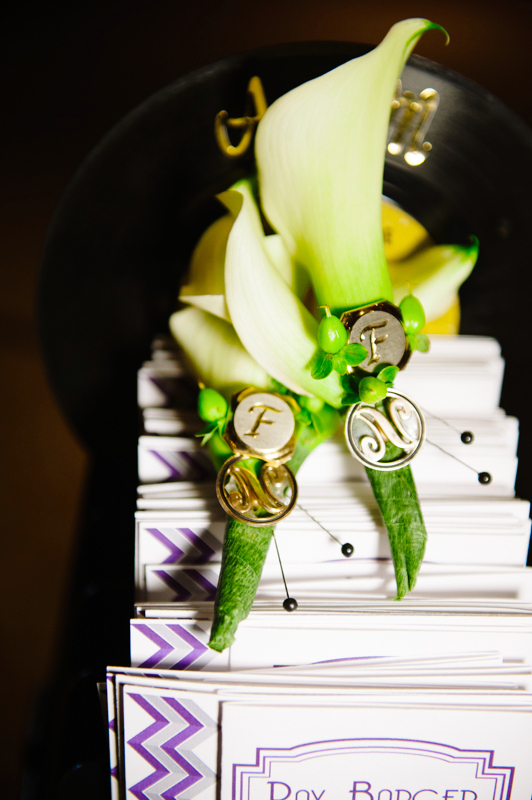 A structured mix of calla lilies and hypericum berries made by LeRoy French Flowers, we loved this vibrant option with initial charms to create a personal touch. 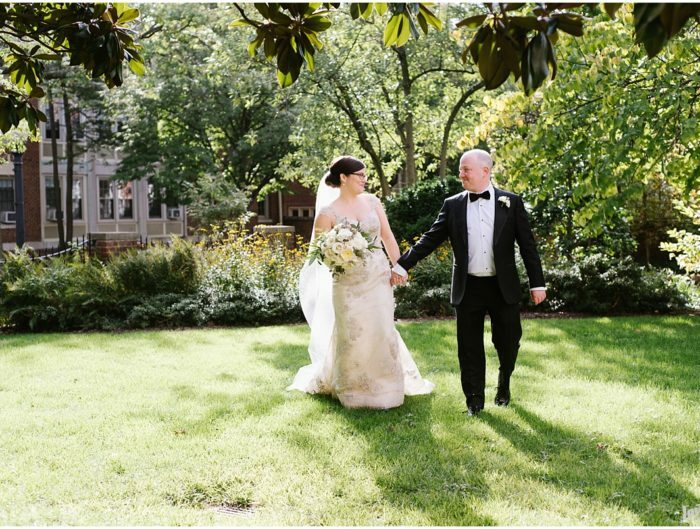 As seen in Fernando and Neil’s Donovan House wedding with Kelly Prizel Photography. 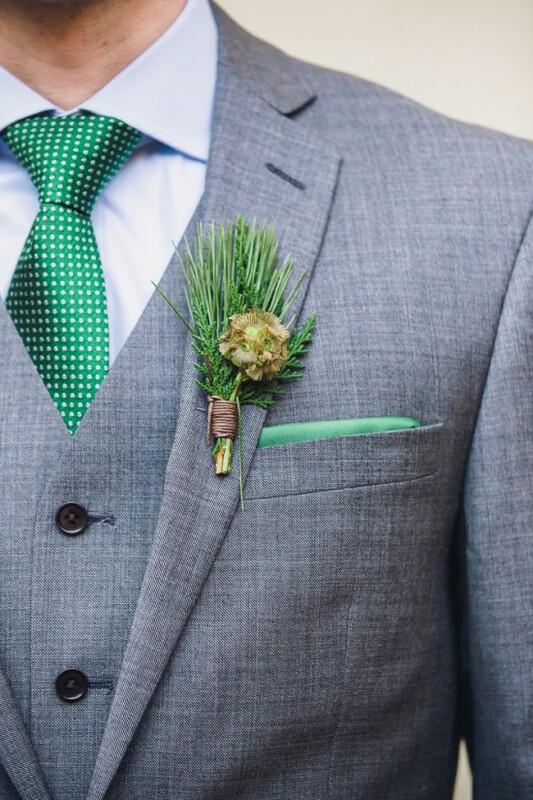 A change up from the traditional boutonniere is a floral pocket square, as seen in this Tudor Place inspirational shoot with Sweet Tea Photography and B. Floral Design. The use of purple hydrangea, wild berries, and greens were soft yet perfect for a garden wedding. We loved the vibrant yellow rose, peach hypericum berry, and Veronica accent matched the brides textured wildflower bouquet created by Countrypolitan Mercantile. Mary Beth and Chris’s wedding at Shrinemont with Bellwether Events and Holland Photo Arts was rich and full of beautiful florals! In terms of soft and romantic, pink sweetpea’s and textured ranunculus are always a perfect match. 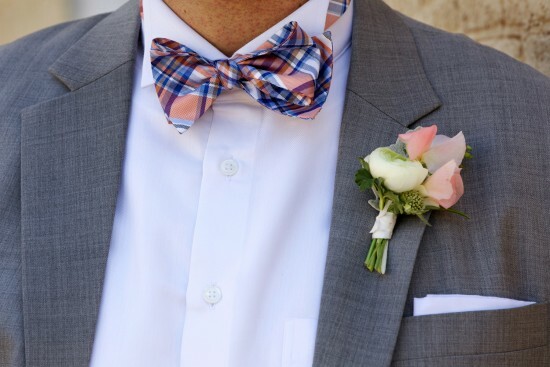 We loved the pairing of James’ plaid pink and blue bow tie with this sweet boutonniere by LynnVale Studios at his Hotel Monaco wedding with Deb Lindsey Photography. For those who love a traditional bout there is a perfect alternative for you. We loved smaller sweetheart roses paired with dusty miller created by Petal and Print for a crisp and clean black tie look from this Four Seasons Baltimore wedding with Strawberry Milk Events and Mary Brunst Photography. With smaller blooms, and shortened stem wrap, it is delicate yet will stand the test of time in photos. Succulents continue to make waves heading out of 2015. 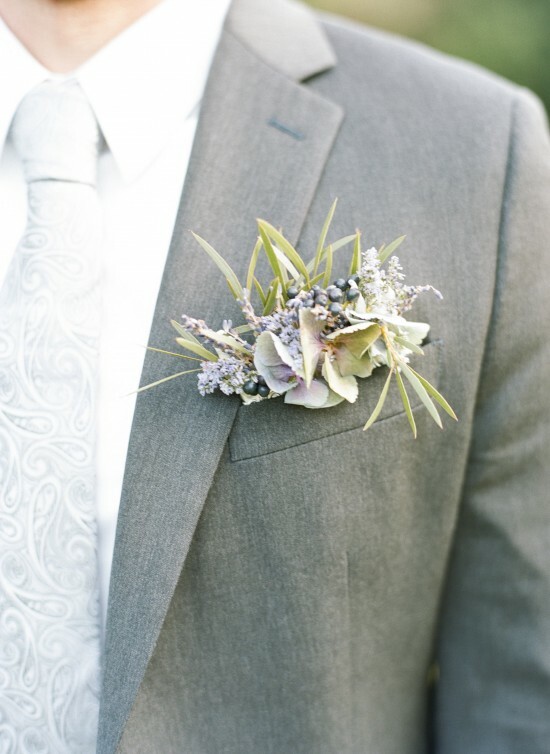 We saw them this year in centerpieces, bridal bouquets, and best of all, the boutonniere. For Matt and Christina’s wedding with Taylor & Ben Photography, Gingerwood Creative, and Flowers by Lisa, they chose wax flower, a single small succulent, and dusty miller for their Grooms floral accent. Who says you need to have flowers at all?! Hands down a favorite is this wheat and feather boutonniere which was perfect for Danielle and Melissa’s Ag History Farm wedding with Sarah Jane Winter. 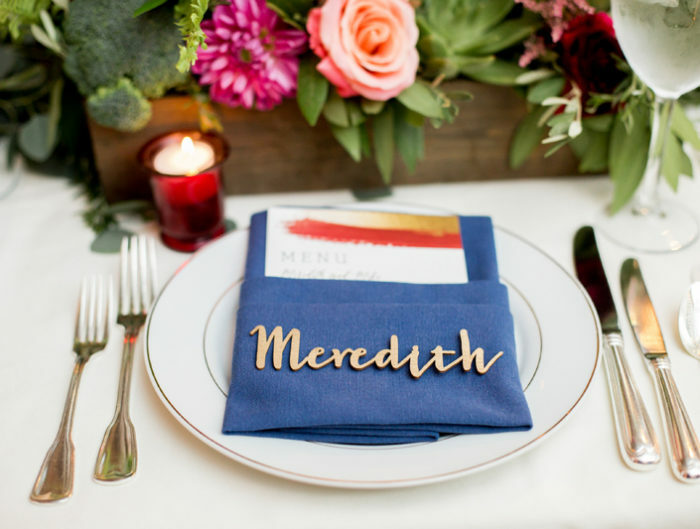 Created with the help of their friends and family, the couple spun DIY details like this one for a truly personal wedding. 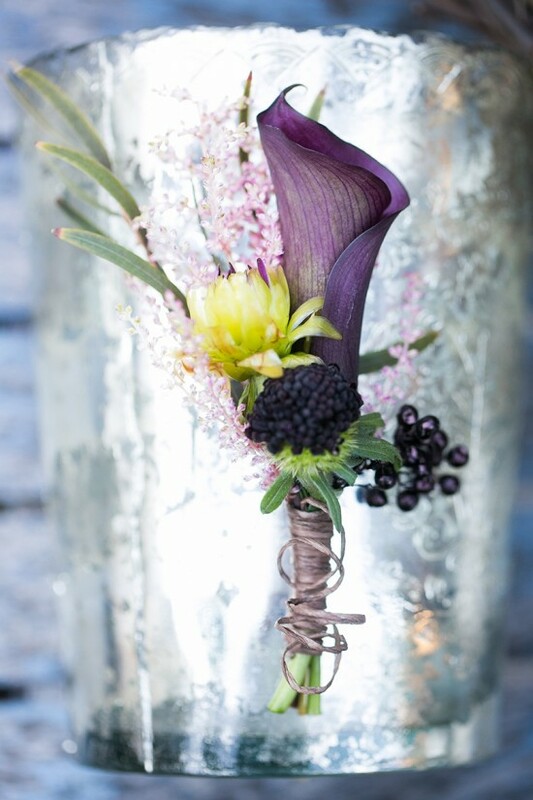 Instead of a simple ribbon wrap, Intrigue Designs used raffia to compliment the moody dark undertones of the eggplant calla lily, berries, and mum accent flowers in their Fall wedding inspirational shoot with Carly Fuller Photography. Using unconventional materials such as twine, raffia, metals adds a layer of texture that pops against suiting. 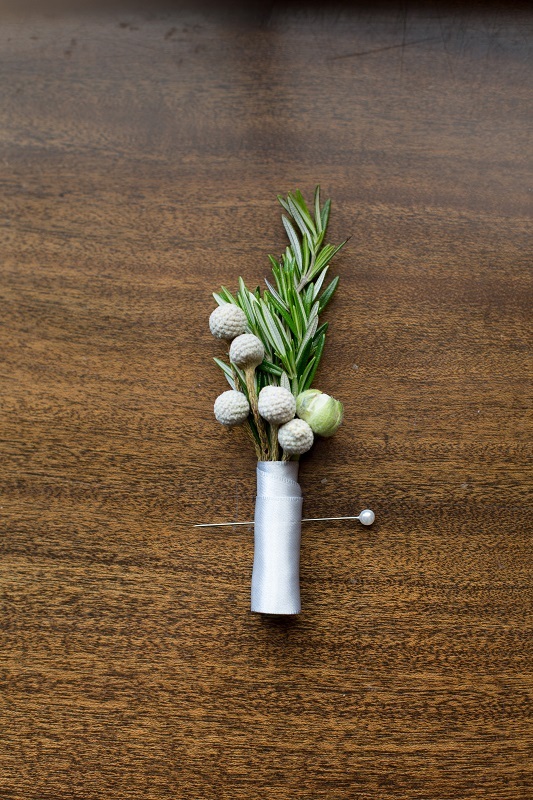 Joy and Co Events created a petite yet impactful boutonniere by using rosemary paired with silver brunia balls for this Old Town Hall DIY wedding. Captured simply by Camille Catherine Photography, I can only imagine how wonderful the attendants smelled during the day with this fragrant herb. To close out the list with a special winter themed bout of evergreens, christmas pines, and a unique scabiosa pod wrapped in twine by Sweet Root Village. Taken separately these elements would not seem like a fitting option for a floral element, but when paired together they make a huge statement as seen in Ann and Matt’s Torpedo Factory wedding with K. Thompson Photography. 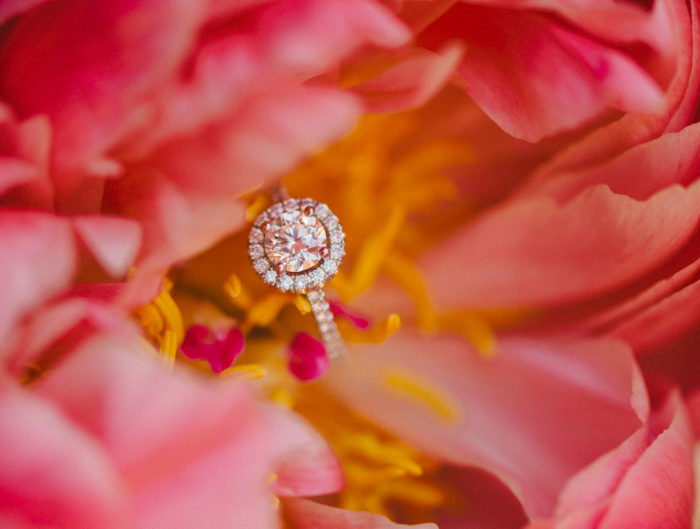 A big thank you to our vendor contributors for helping showcase amazing florals in 2015, and we can not wait to see what new trends and ideas are coming in the new year. 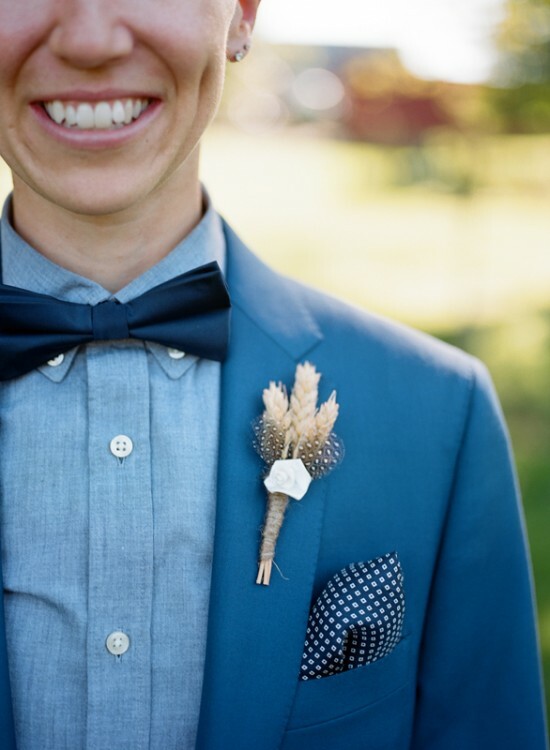 Make sure to check out our Boutonniere Gallery for even more inspiration from our archives!